Story about love for primary school children of 6-9yrs. Children of the world all feel the need to be loved. We all hope that our parents love us and that our brothers and sisters love us. But is that enough? I am going to tell you a story about a child called Surya who was about eight years old. She lived in a small village in India and had two brothers. Surya was usually a happy child. 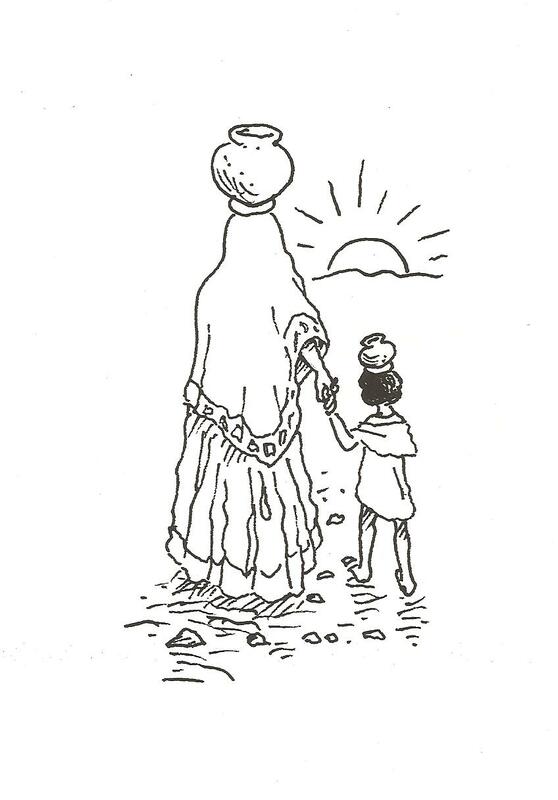 She would often help her mother to carry water back from the well to her home. Each day this task had to be done – once at sunrise and once at sunset. It was quite a long walk to the well. 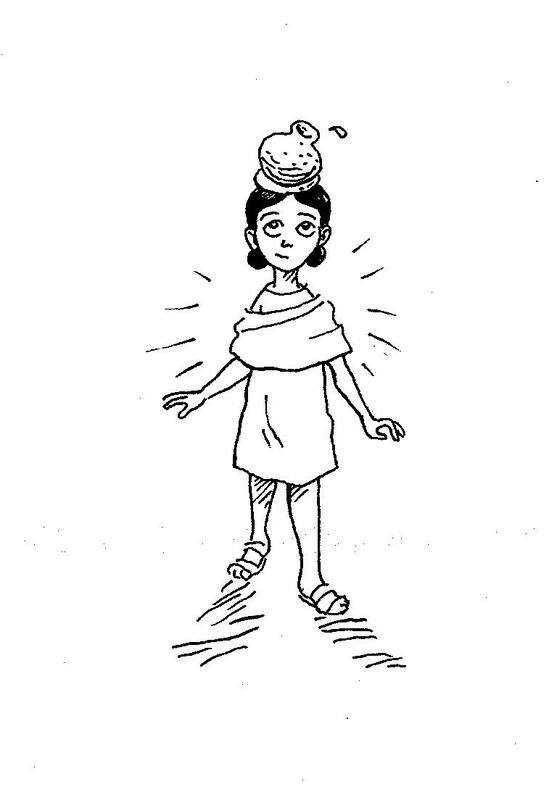 She and her mother would carry the water jars on their heads. Surya’s mother could carry a larger jar than Surya, but Surya knew the water she carried was just as important. “All the water you carry will be used. So however much you carry, it is all useful,” her mother always reassured her. This made Surya feel important. She knew that without water her family would not survive. She knew that her family depended on her work so that they could wash, drink and cook their food. She was pleased to be able to help them. They would smile at her and call her, “Our water carrier”. Surya liked this. It made her feel nice and warm inside. Even if she was tired and weary, when they smiled she felt better. 1. What is the story about? 2. What name would you give the story? 3. What made Surya happy? 4. How did she feel when her father smiled at her? 5. How did she feel when no-one smiled at her? 6. How did you feel as you listened to the story? 7. Does the story remind you of anything in your life? 8. What does the story mean to you? Thank you for your kind comment. I hope you go on to enjoy other stories in my educational blog. You are amazing. You are courageous. Sharing your meditations was medication for this Soul. Thanks for your gift of healing. Thanks for the discipline to study the portal to obtain your gift and sharing it so freely with others. Your writing is a blessing. You are wonderous. Knowing that for yourself makes your knowledge available to others.